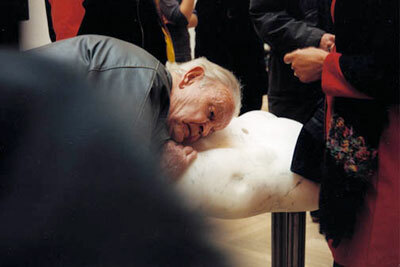 Marble (carrara ordinario), metalstand, soundsystem inside with recorded elderly men singing and talking. Permanent installed at Esaias dwellings for handicapped, Dalhem, Helsingborg. 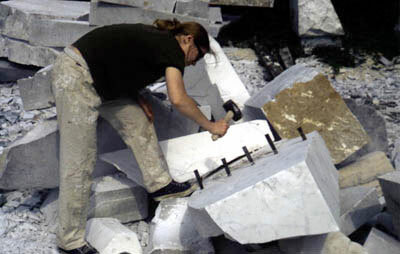 1997 I went to Italy to work with white marble. 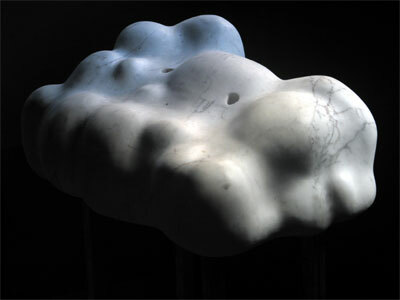 At Corsanini Scupture Studios in Carrara, the work with Italian stone (singing version) started. It consits of a piece of marble resting on a metalstand with speakers and a cd-player inside. From the inside italian singing and talking, pouring out from two small holes on the upside. These voices of some elderly men are recorded in Italy. The soundtrack to the sculpture, Sono di scultura, was sold at Rollon shop. 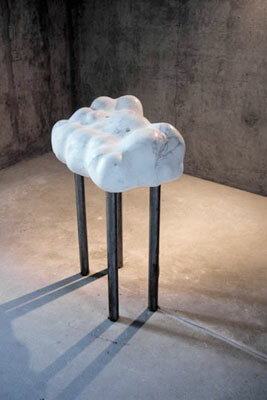 Italian stone has been showed at Charlottenborg, Copenhagen and at Gallery 99, Helsingborg. Helsingborg Museum bought it, and placed it at the Esaias nursing home, Dalhem. 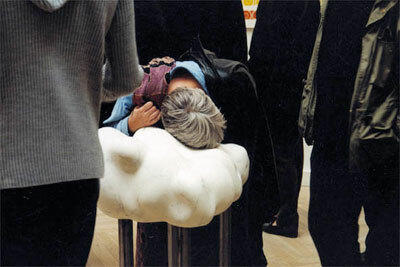 During 2004 Thorvaldsens Museum loaned it for the exhibition White Marble.